Learn how to play this roleplaying game at our special event! We are hosting a Learn How to Play Dungeons & Dragons (and Other Storytelling Games) event on Sunday, April 14 from 12 PM to 5 PM. 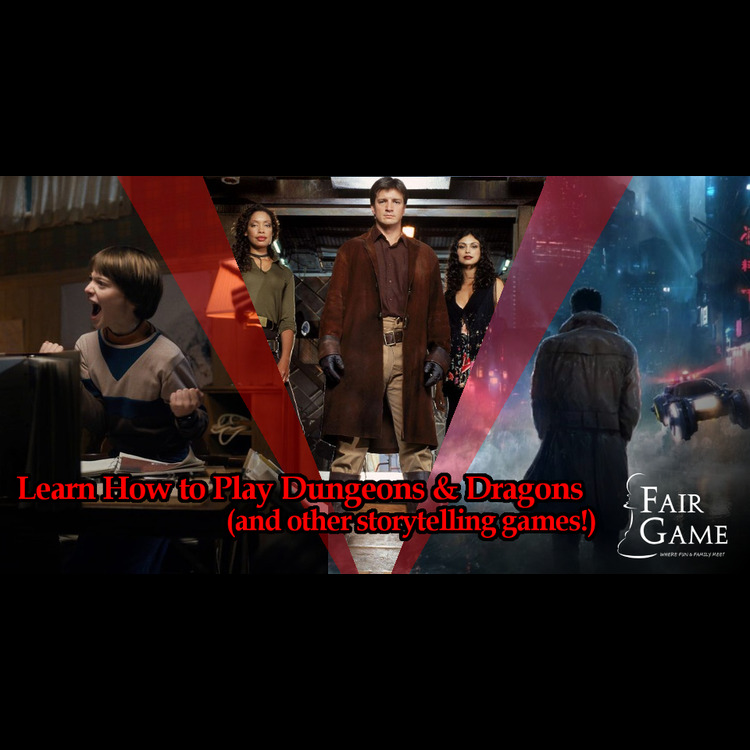 If you've ever wanted to learn how to play Dungeons & Dragons 5th Edition, the Firefly Roleplaying Game, or the Genesys Roleplaying Game, you won't want to miss this special event! The necessary characters sheets, pencils, dice and miniatures will be provided to you for the course of the event, and you don't need any experience with any of these games to sign up. This event is designed with complete newcomers in mind; our Game Masters will teach you everything you need to know that day. 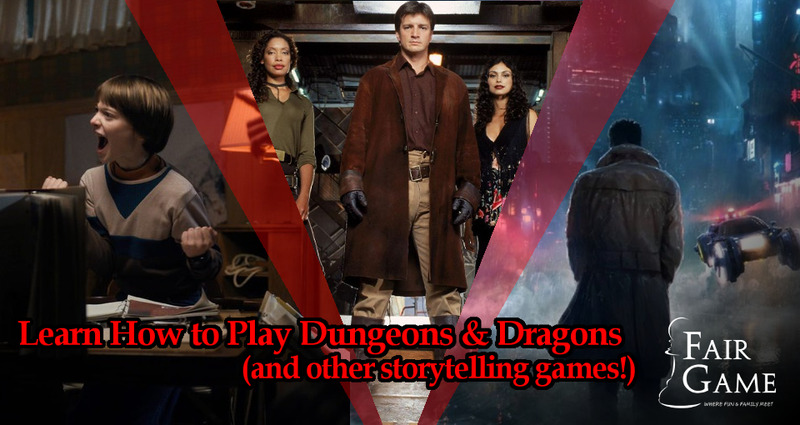 If you have already played D&D or another one of these RPGs, you are also invited to sign up, but please keep in mind that this event is designed for newcomers and the pacing will be a bit slower than usual to allow full rules explanations.